The TJAC, along with Telangana Chief Minister K Chandrasekhar Rao's Telangana Rashtra Samithi, had been at the forefront of the movement for a separate state. TJAC Chairman said the new party would be run on people's cooperation. 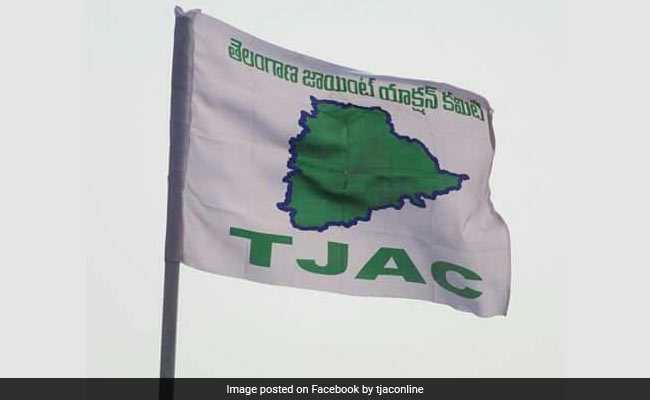 Hyderabad: Ending speculation about the Telangana Joint Action Committee's (TJAC) political plans, its chairman M Kodandaram on Sunday announced the floating of a new political party. The TJAC's decision to float a new political party was taken at its extended executive committee meeting held in the city on Sunday. "The decision has been taken due to the demand from different sections of Telangana society as farmers were in deep trouble and the government was unable to come to their rescue. The new political party would fight for farmers' problems," Mr Kodandaram said, adding that the name of the party would be announced soon. He said that a struggle to address people's problems would be futile if it was done without the umbrella of a political party. Reiterating that the TJAC was floating a party to seek positive change, Mr Kodandaram said he had never earlier thought of floating a political party. Alleging that only those with money and muscle power were coming into politics now, he claimed the new party would be run with people's cooperation just like how the TJAC was being run.